Ron has conducted research in coastal and estuarine ecosystems since 1971. His research includes coastal ecosystem restoration; adaptive management of restored systems; benthic primary production; climate change and adaptation; carbon storage in restored coastal systems, and ecology of fisheries resources. Over his 45-year professional career, Ron has directed approximately 200 multidisciplinary ecological studies. He has worked on systems in California, Washington, Oregon, Alaska, Massachusetts, New York, Nebraska, and Alabama. He has published five book chapters, about 100 peer reviewed papers, hundreds of reports, made hundreds of professional presentations, and served on numerous professional committees. From 1985-1989 he chaired the Technical Advisory Committee of the EPA’s Puget Sound Estuary Program. Between 1991 and 2013, Ron managed the Coastal Ecosystem technical group at PNNL. During the mid-1990s to early 2000s, Ron (while working for PNNL) also taught courses in Coastal Zone Management, Wetland Restoration, and Oceanography at the four-year program in Environmental Studies at Western Washington University (Port Angeles campus). Because of the growing international reputation of his group, Ron was invited to South Korea in 2009 to present a keynote address on Coastal Ecosystem Restoration. He was invited to China in 2010 where he signed an agreement for joint cooperative research in coastal restoration between PNNL and East China Normal University, State Key Laboratory of Estuarine & Coastal Research in Shanghai, China. Since 2009, Ron has served on the Expert Regional Technical Group (ETRG) that evaluates restoration project proposals aimed as restoring ecosystem health and salmon in the Columbia River Estuary Ecosystem Restoration Program (CEERP) funded by Bonneville Power Administration and the Corps of Engineers. In 2011, Ron served as a member of US EPA Science Advisory Board panel reviewing the Great Lakes Restoration Program. In 2013, Ron served on a panel to advise the State of Louisiana on an adaptive management program for restoring their coastline. In 2015, the Governor of Washington appointed him to the Northwest Straits Commission. In 2014-16, Ron served on a National Research Council panel to develop recommendations for monitoring the effectiveness recovery actions in the Gulf of Mexico coastal ecosystem following the 2010 oil spill. Ron co-chaired the 2015 conference of the Coastal and Estuarine Research Federation (CERF), and co-chaired the 2016 Salish Sea Ecosystem Conference – a joint conference between the US and Canada. In 2014-2016, and again beginning in 2017, he has served part time as the Senior Science Advisor to the Puget Sound Partnership, which is the EPA National Estuary Program in Puget Sound. In 2010, Ron was elected to the Washington State Academy of Sciences based on career accomplishments. In 2011, he was elected to the Board of Directors, and in 2016 was elected president-elect of the Academy. Ron will serve as President in 2018-2020. The Academy advises the Governor on science, engineering and health issues affecting the State. 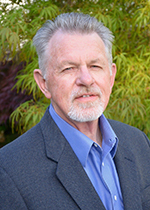 Ron retired from PNNL in June 2013, served in a part time retire-rehire capacity for three years, and was given Staff Scientist Emeritus status in June 2016. Borde A.B., R.M. Kaufmann, V.I. Cullinan, S.A. Zimmerman, R.M. Thom, and C.L. Wright. 2012. Lower Columbia River and Estuary Habitat Monitoring Study, 2011 - Final Report. PNNL-21128. Richland, WA: Pacific Northwest National Laboratory. McGraw K.A., and R.M. Thom. 2011. "Protection and Restoration: Are We Having an Effect?." Ecological Restoration 29, no. 1-2:2-7. PNNL-SA-78068. Roesijadi G., A.M. Coleman, C. Judd, F.B. Van Cleve, R.M. Thom, K.E. Buenau, and J.D. Tagestad, et al. 2011. Macroalgae Analysis A National GIS-based Analysis of Macroalgae Production Potential Summary Report and Project Plan. PNNL-21087. Richland, WA: Pacific Northwest National Laboratory. Thom R.M., E. Haas, N.R. Evans, and G.D. Williams. 2011. "Lower Columbia River and Estuary Habitat Restoration Prioritization Framework." Ecological Restoration 29, no. 1-2:94-110. PNWD-SA-9159. Woodruff D.L., C. Judd, R.M. Thom, N.K. Sather, and R.M. Kaufmann. 2010. Fifth Annual Report: 2008 Pre-Construction Eelgrass Monitoring and Propagation for King County Outfall Mitigation. PNNL-15678-5. Richland, WA: Pacific Northwest National Laboratory. Estes M.G., M. Al-Hamdan, R.M. Thom, D. Quattrochi, D.L. Woodruff, C. Judd, and J. Ellis, et al. 2009. "Watershed and Hydrodynamic Modeling for Evaluating the Impact of Land Use Change on Submerged Aquatic Vegetation and Seagrasses in Mobile Bay." In OCEANS 2009: MTS/IEEE Biloxi - Marine Tehcnology for Our Future: Global and Local Challenges. Piscataway, New Jersey:IEEE. PNWD-SA-8733. Judd C., K.S. Judd, T.C. Gulbransen, and R.M. Thom. 2009. Summary of Training Workshop on the Use of NASA tools for Coastal Resource Management in the Gulf of Mexico. PNNL-18326. Richland, WA: Pacific Northwest National Laboratory. Thom R.M., M.G. Anderson, D. Tyre, and C.A. Fleming. 2009. Adaptive Management for Decision Making at the Program and Project Levels of the Missouri River Recovery Program. PNNL-18261. Richland, WA: Pacific Northwest National Laboratory. Thom R.M. 2008. "A.W.D., Larkum, R.J. Orth, C.M. Duarte (eds. ), 2006, Seagrasses: Biology, Ecology and Conservation, Springer, ISBN: 978-1-4020-2942-4 (hardback), US$ 99.00, 691 pages." Journal of Experimental Marine Biology and Ecology 354, no. 1:160. PNNL-SA-57379. Judd C., D.L. Woodruff, R.M. Thom, M.G. Anderson, and A.B. Borde. 2007. Restoration Prioritization Toolset: Documentation and User's Guides 2007. PNNL-17054. Richland, WA: Pacific Northwest National Laboratory. Judd K.S., C. Judd, J.A. Engel-Cox, T. Gulbransen, M.G. Anderson, D.L. Woodruff, and R.M. Thom, et al. 2007. Gulf of Mexico Regional Collaborative Final Report. PNNL-17180. Richland, WA: Pacific Northwest National Laboratory. Thom R.M., and C. Judd. 2007. "Model for Coastal Restoration." In Gulf of Mexico Regional Collaborative (GOMRC) User Group. Richland, Washington:Pacific Northwest National Laboratory. PNNL-SA-56374. Evans N.R., G.D. Williams, R.M. Thom, and A.B. Borde. 2005. "Prioritizing Restoration Sites in the Columbia River Estuary." In Proceedings of the 25th Annual ESRI International User Conference, July 25-29, 2005, San Diego, California. Redlands, California:ESRI International. PNWD-SA-7011. Thom R.M., G.D. Williams, A.B. Borde, J.A. Southard, S.L. Sargeant, D.L. Woodruff, and J.C. Laufle, et al. 2005. "Adaptively Addressing Uncertainty in Estuarine and Near Coastal Restoration Projects." Journal of Coastal Research. JCR 40, no. sp. iss.:94-108. PNNL-SA-40819. Thom R.M., G.D. Williams, and A.B. Borde. 2004. "Conceptual Models as a Tool for Assessing, Restoring, and Managing Puget Sound Habitats and Resources." In 2003 Georgia Basin/Puget Sound Resarch Conference Proceedings, March 31-April 3, 2003, Vancouver, BC (Canada), edited by TW Droscher and DA Fraser. Olympia, Washington:Puget Sound Action Team. PNWD-SA-5814. Williams G.D., R.M. Thom, J.A. Southard, S.L. Sargeant, D.K. Shreffler, and M.T. Stamey. 2004. "Assessing Overwater Structure-Related Predation on Juvenile Salmon: A Field Study and Protocol for Weighing the Evidence." In 2003 Georgia Basin/Puget Sound Research Conference Proceedings, Mary 31- April 3, 2003, Vancouver, BC (Canada), edited by TW Droscher and DA Fraser. Olympia, Washington:Puget Sound Action Team. PNNL-SA-37954. Williams G.D., R.M. Thom, N.R. Evans, A.B. Borde, and P.N. Best. 2004. "Bainbridge Island Nearshore Habitat Characterization and Assessment." In 2003 Georgia Basin/Puget Sound Research Conference, March 31 - April 3, 2003, Vancouver, BC (Canada), edited by TW Droscher and DA Fraser. Olympia, Washington:Puget Sound Action Team. PNWD-SA-5819. Borde A.B., R.M. Thom, S. Rumrill, and L.M. Miller. 2003. "Geospatial Habitat Analysis in Pacific Northwest Coastal Estuaries." Estuaries 26, no. 4B:1104-1116. PNWD-SA-5811. Johnson G.E., R.M. Thom, A.H. Whiting, G.B. Sutherland, T.J. Berquam, B. Ebberts, and N.M. Ricci, et al. 2003. An Ecosystem-Based Restoration Plan with Emphasis on Salmonid Habitats in the Lower Columbia River and Estuary. PNNL-14412. Richland, WA: Pacific Northwest National Laboratory. Thom R.M., A.B. Borde, S. Rumrill, D.L. Woodruff, G.D. Williams, J.A. Southard, and S.L. Sargeant. 2003. "Factors Influencing Spatial and Annual Variability in Eelgrass (Zostera marina L.) Meadows in Willapa Bay, Washington, and Coos Bay, Oregon, Estuaries." Estuaries 26, no. 4B:1117-1129. PNWD-SA-5838. Thom R.M., A.B. Borde, G.D. Williams, J.A. Southard, and S.L. Blanton. 2002. "Adaptive Management to Improve Seagrass Restoration Success." In Watershed 2002: Proceedings of the Water Environment Federation, February 23-27, 2002, Fort Lauderdale, Florida, 362-373. Alexandria, Virginia:Water Environment Federation. PNWD-SA-5520. Thom R.M., R. Zeigler, and A.B. Borde. 2002. "Floristic Development Patterns in a Restored Elk River Estuarine Marsh, Grays Harbor, Washington." Restoration Ecology 10, no. 3:487-496. PNNL-SA-37599. Thom R.M., S.L. Blanton, A.B. Borde, G.D. Williams, D.L. Woodruff, and M.H. Huesemann. 2002. "Investigations into Wetland Carbon Sequestration as Remediation for Global Warming." In International Conference on Wetlands and Remediation; Wetlands and Remediation II, edited by KW Nehring and SE Brauning, 311-320. Columbus, Ohio:Battelle Press. PNNL-SA-35183. Clements W., S.N. Luoma, J. Gerritsen, A. Hatch, P. Jepson, T. Reynoldson, and R.M. Thom. 2001. "Stressor Interactions in Ecological Systems." In Ecological Variability: Separating Natural from Anthropogenic Causes of Ecosystem Impairment, edited by Donald J. Baird and G. Allen Burton, Jr. 215-233. Pensacola, Florida:SETAC Press. PNWD-SA-5436. Long W.L., and R.M. Thom. 2001. "Part III. Seagrass Habitat Conservation. Chapter 21. Improving seagrass habitat quality." In Global Seagrass Research Methods. 407-445. Amsterdam:Elsevier. PNWD-SA-5555. Luoma S.N., W. Clements, J. Gerritsen, A. Hatch, P. Jepson, T. Reynoldson, and R.M. Thom. 2001. "Separating stressor influences from environmental variability: eight case studies from aquatic and terrestrial ecosystems." In Ecological Variability: Separating Natural from Anthropogenic Causes of Ecosystem Impairment, edited by Donald J. Baird and G. Allen Burton, Jr. 179-215. Pensacola, Florida:SETAC Press. PNWD-SA-5435. Luoma S.N., W. Clements, T. Dewitt, J. Gerritsen, A. Hatch, P. Jepson, and T. Reynoldson, et al. 2001. "Role of Environmental Variability in Evaluating Stressor Effects." In Ecological Variability: Separating Natural from Anthropogenic Causes of Ecosystem Impairment, edited by Donald J. Baird and G. Allen Burton, Jr. 141-179. Pensacola, Florida:SETAC Press. PNWD-SA-5437. Thom R.M., A.B. Borde, G.D. Williams, J.A. Southard, S.L. Blanton, and D.L. Woodruff. 2001. "Effects of Multiple Stressors on Eelgrass Restoration Projects." In Proceedings of Puget Sound Research 2001, the fifth Puget Sound Research Conference, edited by Droscher, Toni, 1. Olympia, Washington:Puget Sound Water Quality Action Team. PNWD-SA-5434. Thom R.M., A.B. Borde, K.O. Richter, and L.F. Hibler. 2001. "Influence of Urbanization on Ecological Processes in Wetlands." In Land Use and Watersheds : Human Influence on Hydrology and Geomorphology in Urban and Forest Areas. Water Science and Application, edited by Mark Wigmosta and Stephen Burges, 2, 5-16. Washington, District Of Columbia:American Geophysical Union. PNWD-SA-5187. Thom R.M., A.B. Borde, S.L. Blanton, D.L. Woodruff, and G.D. Williams. 2001. "The Influence of Climate Variation and Change on Structure and Processes in Nearshore Vegetated Communities of Puget Sound and other Northwest Estuaries." In Proceedings of the 2001 Puget Sound Research Conference. Olympia, Washington:Puget Sound Water Quality Action Team. PNNL-SA-34977. Emmett R., R. Llanso, J. Newton, R.M. Thom, M. Hornberger, C. Morgan, and C. Levings, et al. 2000. "Geographic Signatures of North American West Coast Estuaries." Estuaries 23, no. 6:765-792. PNWD-SA-5430. Thom R.M. 2000. "Adaptive management of coastal ecosystem restoration projects." Ecological Engineering 15, no. 3-4:365-372. PNWD-SA-5738. Woodruff D.L., P.J. Farley, A.B. Borde, J.A. Southard, and R.M. Thom. 2000. King County Nearshore Habitat Mapping Data Report: Picnic Point to Shilshole Bay Marina. PNNL-13396. Richland, WA: Pacific Northwest National Laboratory. Ebberts, BD, BD Zelinski, JP Karnezis, CA Studebaker, S Lopez-Johnson, AM Creason, L Kraznow, GE Johnson and RM Thom. 2017. Estuary ecosystem restoration: Implementing and institutionalizing adaptive management. Restoration Ecology. Thom, RM, T St Clair, R Burns, and M Anderson. 2016. Adaptive management of large aquatic ecosystem recovery programs in the United States. J. Environmental Management 183:424-430.